What do couples do on a quiet evening? 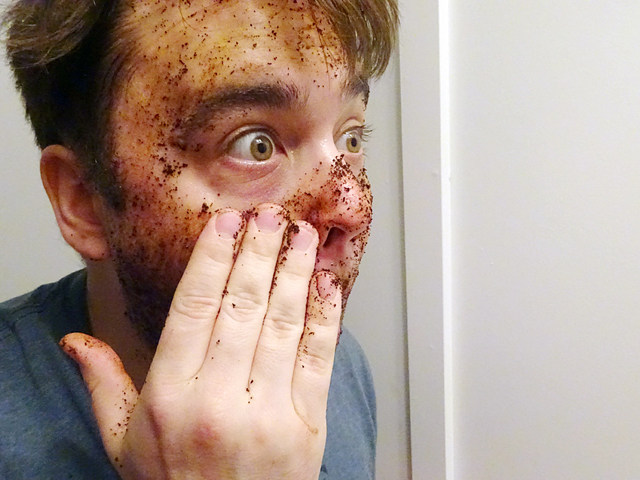 Try a new facial scrub, of course. 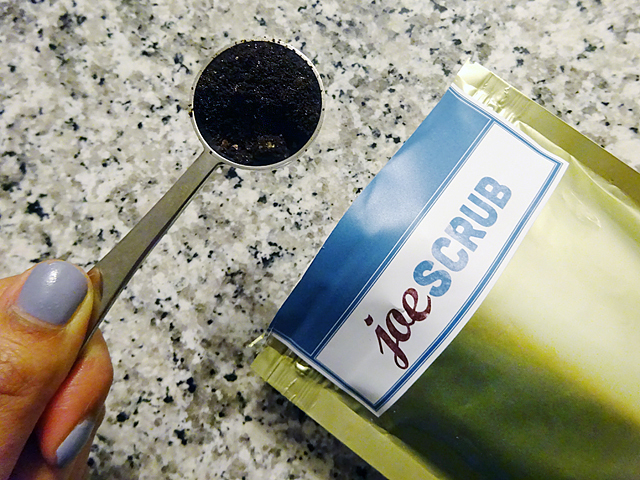 As soon as I opened the joeSCRUB packaging, my condo immediately started to smell like delicious, flavoured coffee. James was intrigued as well and we both decided to give it a try! Continue reading to find out what we both thought of the this product. 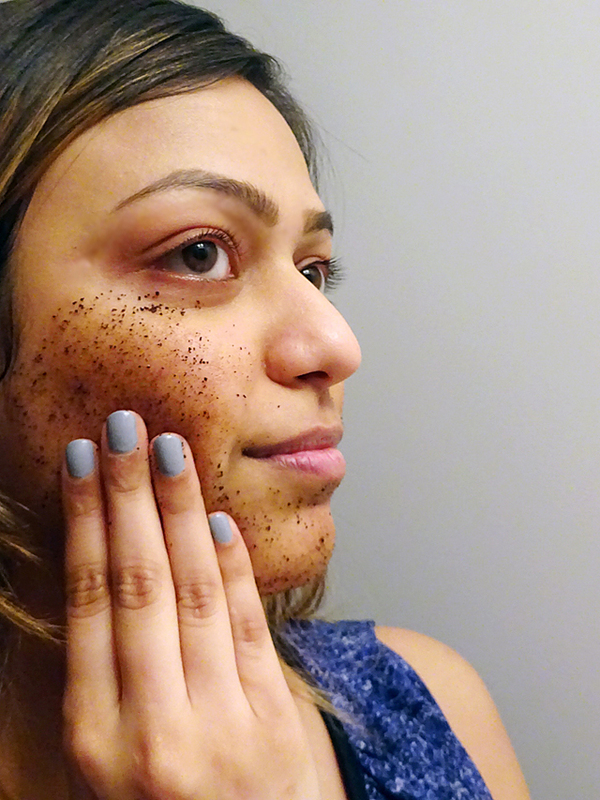 Made with organic coffee grinds, cacao, himalayan pink salt, brown sugar, and various oils, joeSCRUB works to treat acne, alleviate psoriasis and eczema, reduce scars and discoloured skin, as well as improve skin hydration. It's 100% natural, and I can't even begin to tell you how amazing it smells! I grabbed about three spoonfuls and put them in a small bowl, for both James and I to use. 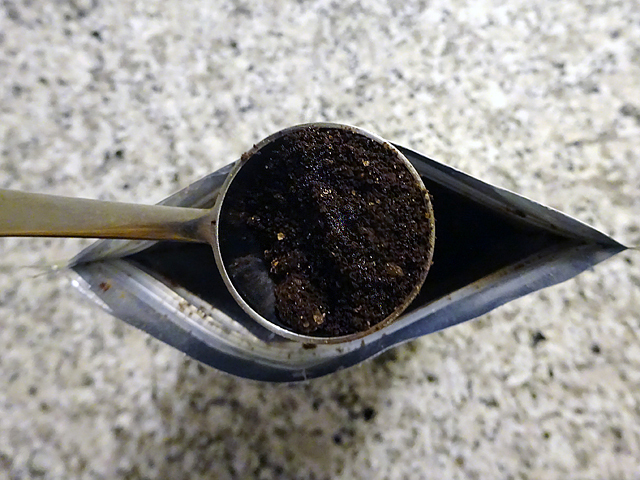 It smells and looks just like coffee. We even tasted a little bit and it truly did taste like coffee grinds. Here we go! 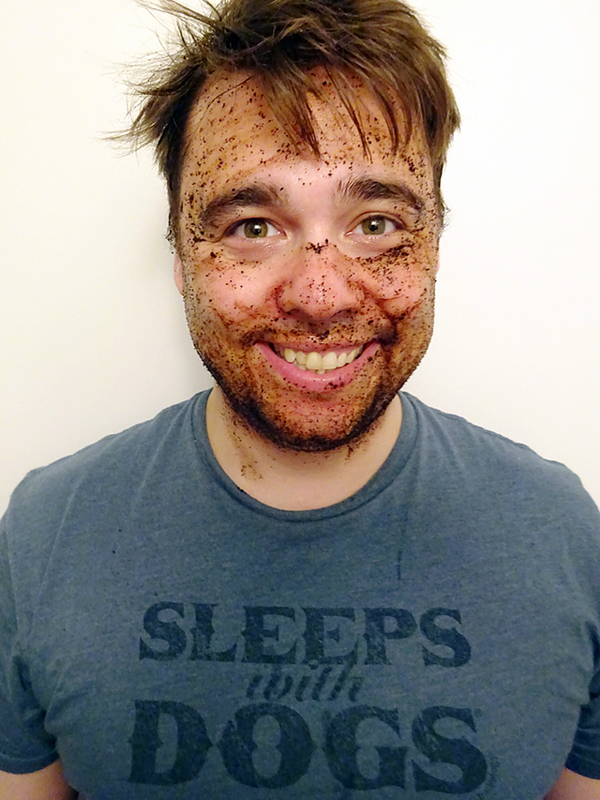 First I got my face wet and then started to spread the contents all over my face. This can get pretty messy. I wasn't really sure how much I should be applying, but I covered my face and neck. Next time I'm going to use a little bit more, but even this little amount seemed to have done the trick! Here's a little tip: when you put some of the joeSCRUB in a bowl, mix it with a little bit of water for easier application. James came up with this trick, and was able to use a lot more of the scrub. James was able to get a lot more on his face once we figured out the trick to adding a little bit of water. We kept it on our faces for about 7 minutes each, washed it off and immediately began to see a difference. James noticed that his eyes weren't as puffy as before and my cheeks felt really soft. The next morning our faces felt rejuvenated. 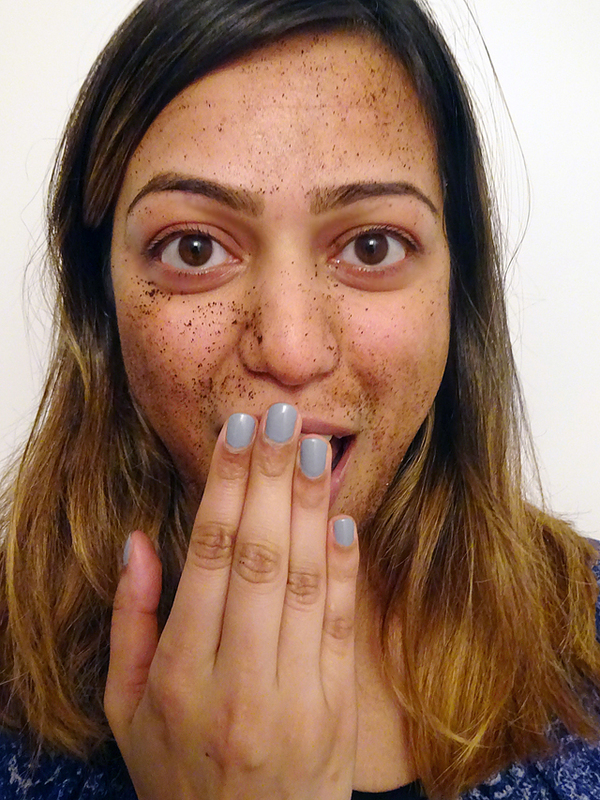 If you've ever used a face mask before, it's a similar feeling where your skin starts to feel more hydrated, but the coffee grinds and organic oils help with moisturization as well. JoeSCRUB is suitable for all skin types and you can apply it on your face and all over your body. Try it for yourself! You can purchase it here.